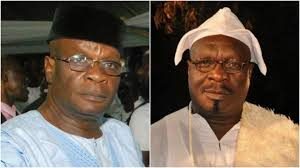 Late Actor, Olumide Bakare to be buried tomorrow – Royal Times of Nigeria. 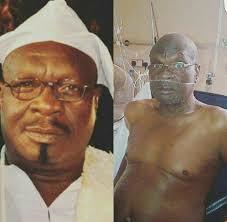 Veteran Nollywood actor, Olumide Bakare, who died on the twenty-second of April, 2017, is set to be buried tomorrow, the twenty-sixth of May in Ibadan, Oyo State. Burial rites for the film icon who died after a long battle with heart disease is scheduled to begin today with service of songs at Saint James Cathedral, Oke Bola Ibadan, from 5pm to 7pm. His Burial service will also hold at St. James Cathedral while his remains will be laid to rest at St. James Cemetery, Ijokodo, Ibadan. Reception follows at 4real events, Ring Road, Ibadan. The late actor will be remembered for his expertise in his craft. Olumide Bakare is survived by his wife, Adekunbi Bakare and four children, Pastor Bakare, Olumayowa Bakare, Oluwatofunmi Bakare and Oluwanifemi Bakare.